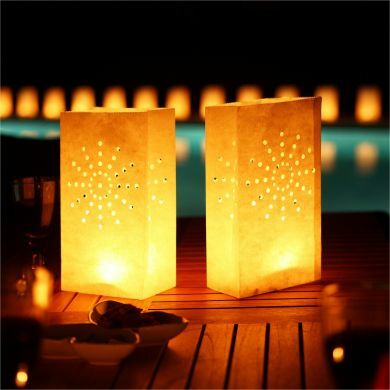 Candle Bags UK is operated by Simply Fabs Ltd and we are committed to protecting your privacy. At Candle Bags UK, we understand that we have a responsibility to protect and respect your privacy and look after your personal data Please read this privacy notice carefully as it contains important information about us, how and why we collect, store, use and share personal information, your rights in relation to your personal information and on how to contact us and supervisory authorities in the event you have a complaint. We may also take video footage during our events to protect the rights, property or safety of Candle Bags UK, its customers, employees, or the public. Further to the uses described above, we may transfer personal information of you or your end-users to companies that help us promote, provide, or support for our products or services that we provide. We may partner with and use various third party software and services, including analytics services, to help understand your usage of our products and services. In particular, we provide a limited amount of your information (such as your email address and sign-up date) to select third party services to collect data for analytics purposes when you visit our website or use our products and services. This allows Candle Bags UK to monitor your use of our website, products and services and tracks our relationship so that we can improve our service to you. We may also use these third party services for communications, either through email, or through messages within our products and services. As part of our service agreements, these third party services may collect publicly available contact and social information related to you, such as your name, email address, gender, company, job title, photos, website URLs, social network handles and physical addresses, to enhance your user experience. We may provide to a third party information necessary to process a transaction or fulfil an order you have placed with us. we give suppliers, and others involved in the distribution chain only the information needed to provide you the products or services you order, such as shipping and/or billing address, e-mail address, telephone number and product orders. We are not responsible for any information you provide directly to these parties, and we encourage you to become familiar with their practices before disclosing information directly to them. As Candle Bags UK is a multinational organisation, Personal Data may be transferred outside of the European Economic Area (EEA), including to countries where your data protection rights may differ from in your country of residence, in order to carry out processes, including but not limited to e-mail communications and customer call-centre services. Candle Bags UK ensures that Personal Data transferred outside the EEA is maintained with at least the same level of security and protection for the rights and freedoms of data subjects that is required under the UK Data Protection Act of 1998. We will keep your personal data for the duration of the period you are a customer of Candle Bags UK. We shall retain your data only for as long as necessary in accordance with applicable laws. If you wish to update your marketing preferences and/or your account information, or if you have questions concerning our information practices, you may call our Help Desk on +44 (0) 2086 871085, or email us at privacy@candlebagsuk.co.uk. If you have any questions or concerns about this privacy notice or would like to contact us for any reason, please contact our Data Protection Officer, Fabio Paduanelli, on +44 (0) 2086 871085, or email to privacy@candlebagsuk.co.uk or write to Data Protection Officer, SVS House, Oliver Grove, London, SE25 6EJ, United Kingdom.